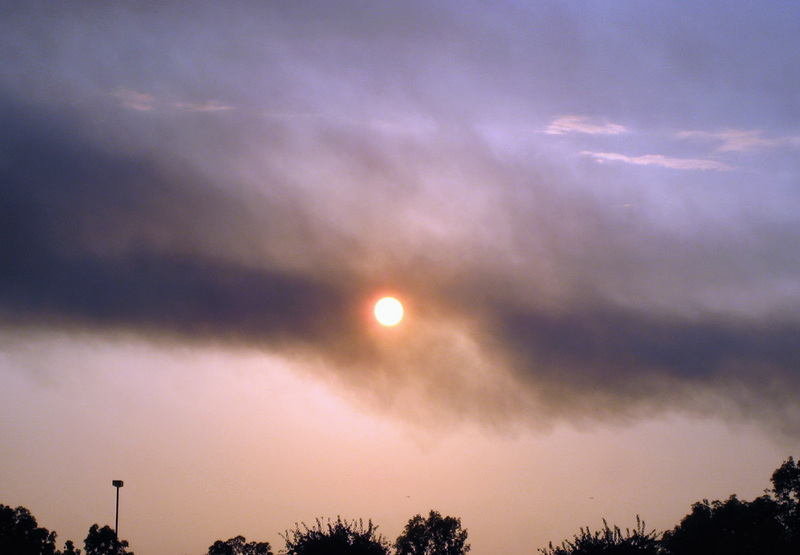 The sun filtered through smoke from the fire that destroyed the Southwest Grinding building on Shamrock Avenue last evening. They used to be a vendor of a company I used to work for. Southwest had been there for years. Was so sorry to hear about the fire.